We offer stunning and striking mobile DJ hire services. We aren’t cheap, but just look at what we offer! If you’re a client of ours who insists upon quality and the highest standards, we will not let you down. We only offer high end DJ’s as they tie in with the quality of the other services we offer. We know what’s needed to make your event great fun for all those attending. We can supply the right DJ for your event based on a number of factors. The music you want, the music your guests want, the amount of crowd interaction you’d like, that age of guests and the style of DJ you want will all be considered. For more information on our DJs and their background in DJing, just get in touch via our Contact Us page. 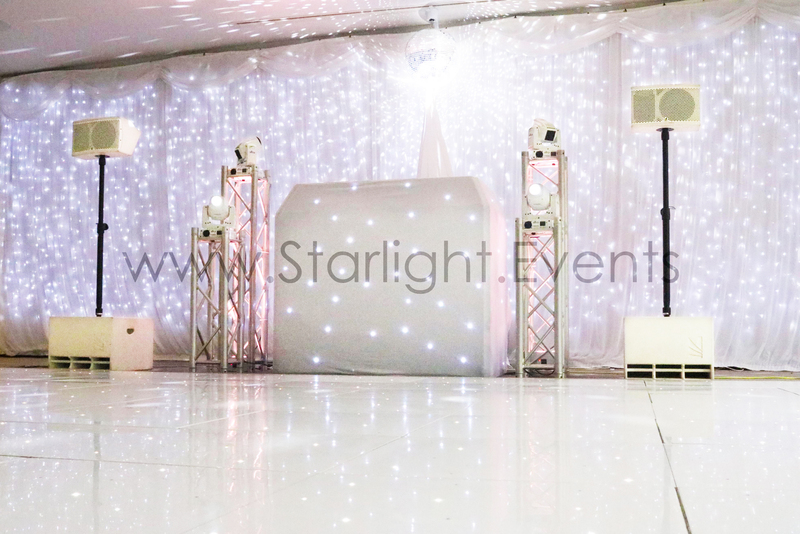 If you require a Wedding DJ in the South Wales area, you’ll probably want to opt for our white mobile DJ setup. You’re welcome to choose a darker mobile DJ setup if it fits into your decoration package, but we think the white setup looks the part for the majority of weddings.